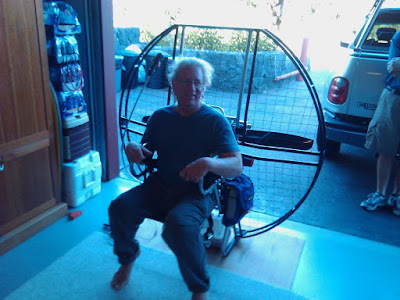 Here, I get a chance to sit in the famous Larry's paraglider, sans the wing. The engine on this beast was so finely tuned and balanced that you could drink a full cup of hot coffee while sitting in it. Amazing!